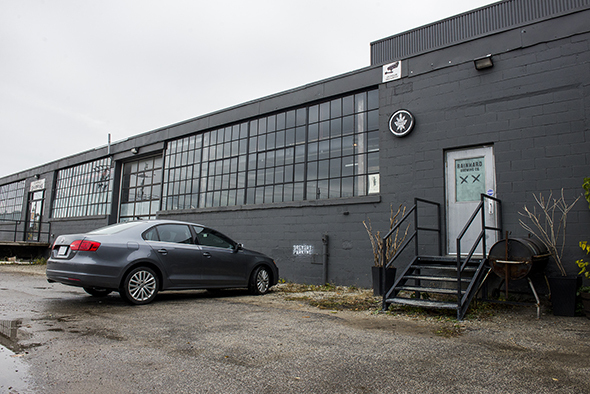 Rainhard Brewing is a dynamic brewery and event space in The Stockyards . 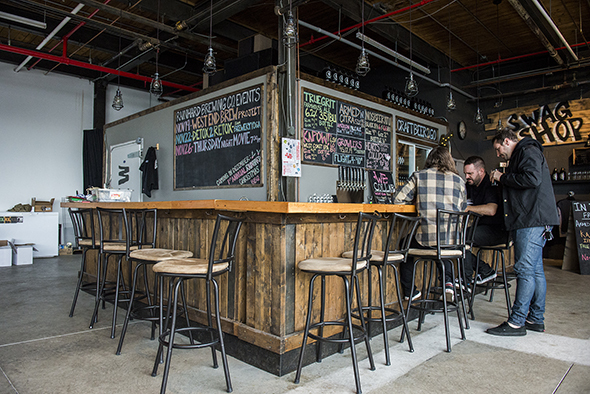 Bringing small batch brews to the neighbourhoods that surround the former meat packing district, founder Jordan Rainhard and his wife are quietly expanding as glowing word-of-mouth reviews spread about the brewery. 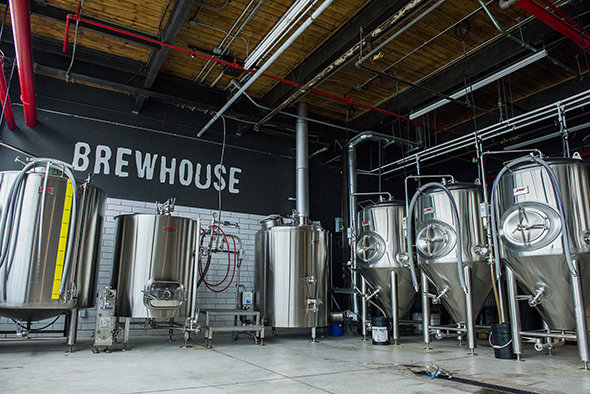 Occupying the 3,200 sq ft. space next to The Monkey Vault at Keele and St. Clair West, the brewery is buzzing with conversation amidst office workers and beer connoisseurs. It's easy to feed-off the energy of returning patrons, thrilled to see that the brewery is almost doubling its output from last month with the arrival of new equipment. Disheveled from rush-hour streetcar traffic, Duchak offered me a flight of Rainhard's finest brews to take the edge off; a generous 4 beer flight for $10. This includes Rainhard's signature handmade and one-off brews including Kapow! 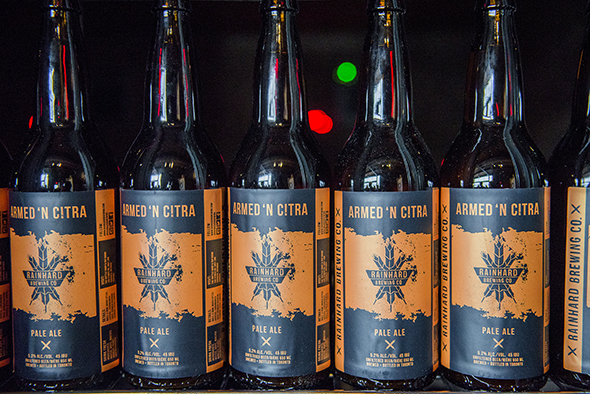 *, Armed N' Citrus, True Grit and Bock That! Many of these are brewed through Jordan Rainhard's "Labour of Love" small batch brewing process. Rainhard Brewing differs from some craft breweries in terms of flavour profile. Jordan, a pro brewmaster, prefers clean, palatable beers with a dry finish. "It's a balance between malt and hop," he explains. 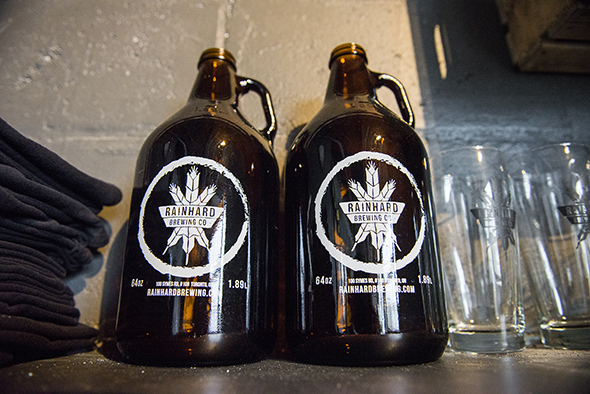 Supporting local products, Rainhard uses a Canadian base malt with a German influence. 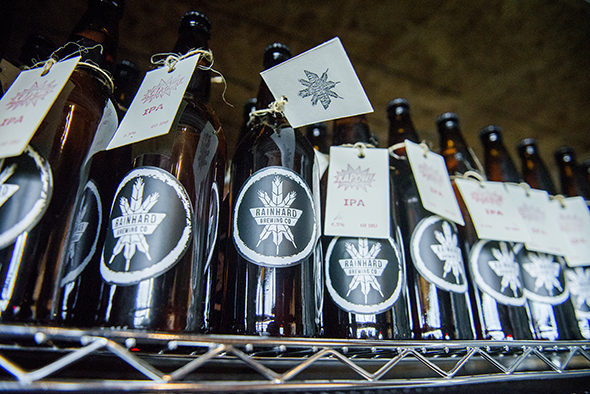 The resulting beers resemble west-coast style ales, a refreshing taste Jordan stands by. Beer is available in 6oz, 12oz and bottles. Prices range from $2.95 for 6oz True Grit to a 12oz Heart's Collide IBU for $5.75. Growlers are sold for $15, $17, and $19 with a deposit of $5. West Coast IPA, American Pale Ale, Imperial Stout, Black IPA and Farmhouse Ale are listed proudly on the chalkboard menu behind the bar. And that's not all this brewery has to offer. Rainhard is one of the local heroes in the West End Brew Project: a band of breweries in the hood ( Junction Craft Brewing , Bandit Brewery and Lansdowne Brewery ) promoting one-off collaborations. With an extended menu of craft beers, Rainhard caters comfortably to a variety of crowds for multi-purpose events and group sizes. 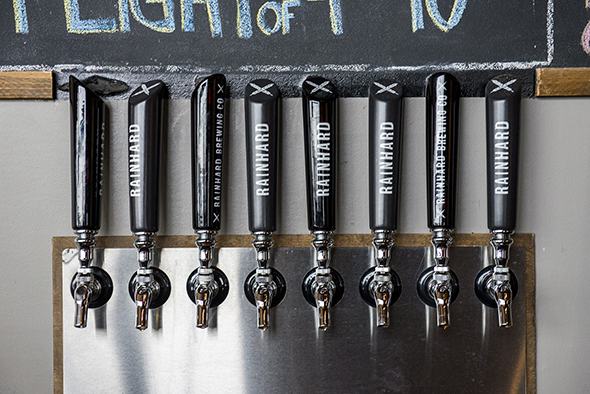 With a dynamic event space, passionate staff, retail shop and labour-of-love beer, Rainhard Brewery delivers. I left, a little tipsy and thoughtfully impressed. Spring has (mostly) sprung and we want to celebrate! Rainhard is happy to host this year's Aleyards BBQ with some special guests. We'll be serving beer from our neighbours at Junction and Shacklands, as well as Muddy York Brewing Co, and Blood Brothers. Snacks from a variety of vendors will be available, so bring your pals and celebrate springtime!